*There are referral links present in this post. All opinions within this post are 100% honest – I only recommend products that I personally use and love! We've all seen them. The "Ultimate College Checklist" is probably the first thing every high school graduate refers to when it comes to shopping for their new college life. And I speak from experience! I referred to college dorm checklists wayyyy back when I was still in high school (except, I went to a boarding school and lived in a dorm, so I have an excuse). And with college dorm move-in day just a short month away, retailers are gearing up. Just this past week, my family got Target's College 2015 mailer. As much as I love Target (like, loooove Target! ), I can't help but get slightly annoyed at their suggested "College Checklist". And that was just the Furniture section. To those of you headed off to college this fall: you really don't need all of this. I don't even think it'll fit into your small room anyways! Plus, you don't want to have to pack up all that stuff at the end of the year. Trust me. Things accumulate faster than you think. Unless your room doesn't have a desk or bed (it probably will though) don't bring any recliners, sofas, coffee tables, or ottomans, even the ones that store stuff. A small futon is fine if you're ok with having people in your room all the time. Other than that, they just take up space, and you do not want to be a real estate hog. Other than a fridge, microwave, and coffee maker. If you feel like baking cookies or something, most dorms have cooking facilities with pans and things that you can use. Save those other kitchen gadgets for any future off-campus living days. I started my freshman year with a printer in my room, fully stocked with ink and paper. Then, I hardly used it because there are free computer labs everywhere! 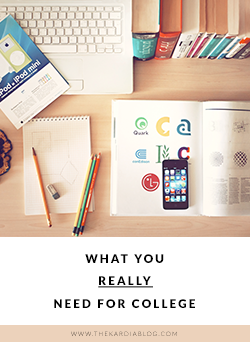 Honestly, a personal printer isn't really all that practical (Hint: you won't be doing THAT many paper essays). A printer not only takes up space, but it can also lead to unnecessary spending on ink and paper. You're most likely going to be carrying your laptop with you everywhere anyways. Simply use the clock app on your smartphone. I recommend Sleep Cycle, since it helps you wake up in your lightest sleep phase, so you're less groggy! Plus, it tracks the quality of your sleep. College students, THIS is what you really need for college. Students get unlimited FREE Two-Day Shipping(with no minimum order size), plus exclusive deals and promotions for 6 months! Often overlooked, this little beauty will take wrinkles out of clothes in less than 5 minutes and it’s easier to use than an iron. Just fill with tap water, plug it in, and go! While I do agree with having at least two sets of sheets, I also recommend that you bring along a few extra pillowcases. Pillowcases trap the oils from your face and hair, so try changing it every week. By having extra, you can switch them out and toss the old one into the dirty clothes hamper. Perfect for those late (or early) study sessions in the heart of winter, or for sitting out on the front lawn, a blanket is a must! I'm loving this striped one right now! I love this cute umbrella from Bando! Or you could go classic with a wooden handle. But you can also opt for this compact umbrella–it comes in a bunch of color options. Colleges love having themed events! You will be invited to parties of every theme you can imagine — '70s, '80s, Western, Hawaiian, and many times there are costume contests where you can win prizes. Be prepared! There's a good chance your closet is going to be small. Velcro a neat organizer to any metal poll, and you'll have the perfect place to store all your sweaters and tees. What I mean by this is that you have a small pencil / cosmetic size pouch that you fill with things such as: bandages, hair ties, chapstick, pads/tampons, pen/pencil, eye drops, safety pins, etc. Having it in a pouch makes it so easy to switch the bag between your backpack and purse while keeping everything organized and neat. Keep yourself healthy when the seasons change and the flu starts going around! Get a pack of mini hand sanitizers and keep one in your backpack, purse, and dorm room. Many college campuses have water bottle filling stations, making it super easy to refill your favorite water bottle. I have the bkr bottle and I love it! It’s made of glass and comes with a silicone sleeve in the color you choose. P.S. Don't forget to check out these 10+ Must Have Apps for College Students! Life has gotten so busy these past few weeks. I'm taking six finals in three days, starting today! Wish me luck! The great thing is that once the tests are over, summer is here. And although I'll be taking summer classes, I absolutely can not wait to sit back and relax for a bit. So if you're trying to get through finals week (like me) or are just simply looking for easy yet fun ways to de-stress, this post is for you. Have a great day everyone! Sleep. Many of us are overworked and overwhelmed. We have so much to do in so little time. But the thing is, getting enough rest is even more important. What better way to lessen the fatigue than to curl up under the covers and catch some much needed z's. To help you out even more, here are 10 secrets for a better night's sleep. Treat yourself. Indulge in that ice cream. Buy yourself some flowers. Schedule a massage. Whatever you do entirely up to you. Don't do anything. This might sound contradicting and dull, but just sitting and not thinking about anything for 5 minutes straight can do wonders. Find a quiet place and just sit and breathe. Your body will be able to wind down and relax easier. Stretch and deep breathe. Nothing feels better than a deep breathe and a good, long stretch. It helps eliminate tension and stress by bringing more oxygen to your brain and also loosens tight muscles. Read. No, you don't have to read another (boring) textbook during your free time. But studies have shown that sometimes moving to fun read for enjoyment is a good idea. Get lost in some books! Attend an event. Check your city website, local newspaper, or college campus bulletin board to find fun events to attend (many are free!). Maybe it's a summer festival, a monthly art walk, or a concert. Find something that you would enjoy. Dance. Listen to music for the sake of listening to music. Dance to your heart’s content. It can revitalize your energy, especially after you've been stressed out. Get some exercise. For a quick de-stress, take a quick jog or run. An energizing exercise can help clear your mind and calm you down. Spend time in the park. Nature is one of the most calming de-stressors out there. Nothing feels more freeing than feeling the sunshine on your back and the wind blowing across your face. The simplicity of nature is calming and the it's beauty is soothing to the eyes. Take a trip to the park and take a deep breath of some fresh air. Hang out with friends. Chances are that when you're stressed, you're not in favor of spending time with other people. But you're most likely not the only one who needs to de-stress. Take time to catch up with friends, especially funny ones. After all, laughter is the best medicine. Create a relaxation space. Bring in things that personally help you de-stress: candles, a book, a blanket, a sketchbook, magazines, etc. Use this space to remove yourself from the usual routine of life. Shift your focus. When you begin to feel overwhelmed, try distracting yourself by doing a different activity. Paint your nails, straighten your desk, do you laundry, THEN come back to the task at hand. Don't confuse this with procrastinating! You're simply taking a break to clear your mind so you're better prepared to conquer whatever it is you're doing. What other ways to you use to relax and de-stress? *There are referral links present in this post. All opinions within this post are 100% honest – I only recommend apps that I personally use and love! UPDATED FEBRUARY 8, 2017: A few months ago I wrote a post on 10+ must have apps every college student should download. That post became quite a hit on social media and I've been wanting to feature a few more apps that I love. So today I'm back with 10+ MORE must have apps for college students! Each of the following apps and resources are ones that I personally use and recommend to any busy person looking to maximize productivity and stay organized while having fun at the same time. I've been using RefME for all my papers this semester, and I don't know why I didn't use it before! It's such an amazing resource! Nobody likes figuring out how to cite a source. RefME does all the hard stuff and lets you collect sources fast and keep them organized in groups. You can either search for the reference title, author, url, etc., or simply fill in the boxes with the appropriate information, select what citation style you need, and voilá! A perfect bibliography/works cited is born! Some other great features are that it allows you to export your bibliography directly into a Word document and shows you the correct inline citation to use. With their app, you can even scan book/journal barcodes to get citations. How easy it that? Khan Academy lets you learn almost anything for free. Videos and visuals help solidify concepts that would otherwise be forgotten and allows you to master concepts you didn't catch in class. Elevate was selected as Apple's 2014 app of the year, and it rightly deserves that award! The app helps "train" your mind for the skills you need the most, such as retention, visualization, focus, comprehension, etc. All it takes is 5-10 minutes a day a few days of the week and you'll see your progress chart go up over time. The games are fun and even addicting! Mind mapping is the new brain dump. It is such a useful way to think about new ideas and simplify complex processes. You can use it for school projects, your business ideas, product ideas, blogging, or just your daily life in general. I like using Coggle because it's web and cloud based and allows you to sync your mind maps with Google Drive. Before you run away after looking at the price, let me just tell you that this one is definitely worth the money. Printer Pro allows you to print anything–documents, emails, web pages–directly from your iPhone or iPad. Advanced printing options such as print orientation, scaling, number of copies, and even paper size give you desktop class printing on a small scale device. Best of all, Printer Pro is compatible with Wi-Fi enabled printers as well as USB ones. No more saving documents to the cloud in order to print them later on a computer! Influenster lets you flex your social media influence by providing you with free, full-sized product sampling through exclusive VoxBox campaigns. To get selected for a free VoxBox filled with amazing products, simply connect your social media accounts and begin reviewing products to unlock badges. The higher your influence score, the more likely you'll get selected. Spotify is my go-to music player for a few reasons. One, I love having the ability to choose what songs to stream and add them to playlists at the same time. Two, they have a great browsing selection where you can discover tons of new artists and songs based on your mood. And now, you can get 50% off Spotify Premium for students. Say goodbye to annoying ads. I've tried many flashcard apps and I have to say, this one is the best. Their app user interface beautiful and functional but the real power lies in the website. Quizlet allows you to create "sets" of flashcards that you can share with other students who are studying for the same quiz or test. It's not just flashcards either; different games help make studying fun. It’s been said that Macs are immune to viruses and other things that are common on Windows. Because of that, many Mac users never even think to install antivirus protection. But that’s not the case anymore. Turns out, it’s not impossible to create a virus that affects a Mac; it’s just more difficult than with Windows because of nature of OS X and its security model. I highly recommend that you install Avast Free Antivirus. It’s free, simple to install, and updates automatically to keep protection current. Do any of you do brain dumps onto a piece of paper? I do. Although recently, I've discovered something SO much better than just writing down a list of the random thoughts that float around in my brain all day. It's called mind mapping. I've been using this process for the past week or so, and I've found that it helps me keep my random thoughts organized in a fun, colorful way. Technically it is still a brain dump, just a more outlined, visual one. Mind mapping is such a useful way to think about new ideas and simplify complex processes. You can use it for school projects, your business ideas, product ideas, blogging, or just your daily life in general. Making a mind map is really very simple. First you must choose whether you want to write it out on a large piece of paper or use an app. The app makes the process much faster, but writing it out by hand is good if you want to personalize it and be more precise. Listed below are a few different mind mapping apps I've found. Check them out and see which one you like! If you're new to mind mapping, here are three easy steps to help you begin and get the most out of it! The first step to creating your mind map is to just write anything and everything that comes to mind. Don't spend too much time on one item; just write. If an item is related to something else, keep them connected by creating branches off of the original item. If you think of a totally unrelated/different/random topic, create a new "main" stem (in MindNode, you just right click to create a new "node"). The goal is to get everything out of your system. Second, take a look at the items you've listed. Are there any goal items? To-dos? List any sub-steps needed to complete that item by branching them out. Check them off/delete them once you finish them! The great thing about mind maps is that they give you the ability to see the big picture. The not-so-great thing about mind maps is that sometimes being able to see everything can cause you to lose focus. Once you've finished making your mind map, choose the top three items you want to focus on. If you listed sub-steps, start tackling them! A mind map used in the right way could help you even more than a to-do list. Have you ever used a mind map? Which you you prefer: a brain dump or mind map? As a college student, sleep is one thing I cherish. Sleep helps your body rejuvenate and keeps your brain to operating at its best. Too many times, I have gone to bed late and gotten up early. And if I do have time to get to bed early, falling asleep is another story. My goal is to begin a healthier sleep routine. Following these simple tips, we all can benefit from a better night's sleep and a more energized day. For a great night’s sleep, give yourself a bedtime routine to alert your body that it's time to sleep. Put things away, take a bath or shower, and start dimming the lights up to two hours before your planned bedtime. If you're busy up until the point you crawl into bed, your body might still be awake even if you're exhausted. Our bodies love routine. Your internal clock has the ability to wake you up without an alarm clock. The only catch is that you must be consistent with your sleep schedule. Drastic changes in your sleep pattern can actually cause you to be even more tired than you were before. Try to be consistent. Your body will thank you. This includes reading, watching TV, and checking social media sites (we've all been guilty of that, haven't we). Activating new thoughts can be very counterproductive. 30 minutes before you climb into bed, make it an effort to not check any screen devices, especially in the dark. The light emitted from your device stimulates your brain and causes it to be more alert, not what exactly what you want late at night. Eating one to three hours before bedtime can decrease the quality and length of your sleep. Avoid snacking or eating a big meal right before you go to sleep. Give your body time to properly digest your food so it can give you energy when you need it. There's no doubt that drinking caffeine will make you stay awake. Getting into the habit of consuming caffeine throughout the day may be the reason you have a hard time falling asleep at night. Try to avoid caffeine intake in the afternoon, or better, avoid it altogether. This is such a simple solution for those who are light sleepers. If you have a roommate that wakes up earlier than you or a husband who snores, there's no need to lay awake wishing you were asleep. Grab a pair of earplugs or slip on an eye mask to block sound and light. They're great for traveling on planes too! Most sleep studies recommend setting your thermostat to about 65ºF. That may seem a bit cold to some of you, but before you go to sleep, your body’s internal temperature drops, which helps promote deep sleep. Setting your thermostat to around 65º will help your body get to that temperature faster, which will let you fall asleep faster and sleep better. Try to get in at least 15 minutes of exercise a day. Not only does exercising keep your body healthy, but it can relieve pent-up stress and energy that keeps you awake at night. I've mentioned this before, but doing a brain dump right before you go to bed can really help clear your mind and keep you from staying awake. It's very simple. Just take a piece of paper and write down everything and anything that comes to mind. Don't think, just write. In the morning, take a look at the list and organize it in whatever way you choose. Hate that feeling of waking up groggy and tired? It might be because you were woken up in deep sleep, the most restful sleep. Studies show that waking up in a light sleep stage cause you to feel happier and more rested. The Sleep Cycle app analyzes your sleep and finds the optimal time to wake you up during a 30 minute window that ends at your set alarm time. Graphs provide you with information about your sleep quality, what times you went to sleep in the past 3 months, the average time you spend in bed, and your sleep quality on certain days of the week. Sleep has never been better. What do you do to get a good night's sleep? What does your bedtime routine look like? P.S. Check out these 8 Ways to Simplify Your Life! Most people struggle with productivity at some point. Whether it's the never ending email inbox, wasting time on Pinterest, or watching 45 minutes of parodies on YouTube (guilty as charged, but I have to admit, they were hilarious! ), sometimes it can be a challenge to focus. How can you stay on track without losing your mind? Well, it turns out that even the simplest things can make you more productive than ever, like making sure you're not working on an empty stomach (the growls can be quite distracting). While we all have different ways of being productive, here are my top five, super simple tips to staying focused. Every night before I go to bed, and every morning before I do anything else, I take out a piece of paper and write down anything that comes to mind. Everything. I write down the title of a song that's stuck in my head, ideas for blog posts, meetings I need to go to, an outfit idea I saw another girl wear, something funny a professor said in class, things I want to Google, etc. I do this to clear my head before I go to sleep, otherwise my mind will just keep on working late into the night. In the morning I look at that list and categorize them: to-do list, Google list, reminders, and random stuff. Getting everything out on paper frees my brain up from trying to keep track of all that information. Making an efficient, organized to-do list has always been a struggle for me. I've tried making paper lists, using sticky notes, and have tried many different list-making apps, but the app Any.do is by far my favorite list-making tool. It's simple design and ability to move around tasks between Today, Tomorrow, Upcoming, and Someday lists keeps it organized. Whatever you put into the Tomorrow list will automatically move to the Today list when the day changes, and your Upcoming list will move to Tomorrow on the following Sunday. Also, if one of the items on your to-do list is getting your small business off the ground, check out Kabbage.com. Kabbage prides themselves on helping entrepreneurs increase productivity in order to achieve their goals by providing small business loans. Many people think that multi-tasking will help them be more efficient because they're working on more than one thing at a time. While that mindset may help you get small, effortless tasks done, the truth is, you really aren’t getting stuff done as efficiently as you could. Simplify your to-do list by learning to single-task. Handle one task at a time. Do it well. And when it is complete, then move on to the next. Light is important when you're working. If you work in a dimly lit room, not only are you straining your eyes, but you're also going to get tired easily. By using a table lamp instead of overhead lighting, you can stay focused on one thing. Having the light focus in on your task keeps you from looking around and finding something else to do. Nothing wastes more time than having to get up and leave your desk just to do little things like grabbing a glass of water. Set yourself up before you sit yourself down. Go to the bathroom, pour a glass of water, stock up on paper and pens, and find your charger before you begin working. That way you can just dive right in. What helps you stay productive? How do you eliminate distractions? P.S. Looking for more productivity tips? Check out these 8 ways to simplify your life! If I was to list a single skill I wish I already had mastered, it'd be productivity. Being a full-time student has taught me so much about prioritizing and not procrastinating. But of course, it's not always easy. I'm always looking for more ways to productive. And living in the smartphone generation, apps are one of those ways. Social media apps such as Facebook, Instagram, and Pinterest definitely get the most use on my phone, but those don't allow me to be very productive. That got me thinking about the apps that come in handy the most when I am in school. Which ones help me stay on top of everything? So the following apps and resources are ones that I personally use and recommend to any busy person looking to maximize the time they have and stay organized. Update: Don't miss 10+ MORE must have apps for college students! 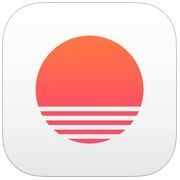 While the default calendar app is fine for appointments and schedules, I find the Sunrise app even better. Upon opening the app, you can see your schedule for the next few days with little icons beside each event letting you know if it's a class, meeting, work, etc. I love how simple and straightforward it is! 8 glasses of water a day is the basis of good nutrition. I use this app to keep track of how many water bottles I drink in a day. You can set your daily goal, what type of drink you're having (water, tea, coffee, etc. ), and have reminders go off at different times during the day. It's easy to use too, just click "Add a drink" when you drink a glass of water! Hate that feeling of waking up all groggy and tired for an early morning class? Sleep Cycle analyzes your sleep and wakes you up when you're in the lightest sleep phase. Graphs provide you with information about your sleep quality, what times you went to sleep in the past 3 months, the average time you spend in bed, and your sleep quality on certain days of the week. Definitely worth the $0.99 if you have an Android! Free gift cards? Yes, please! Use shopkick to get points for walking into stores like Target, American Eagle, and Best Buy. Then, redeem your points for gift cards. Shopkick also has coupons and deals for tons of stores that you already go to on a regular basis. Don’t lose track of the all the interesting things you find by letting tabs pile up in your browser. 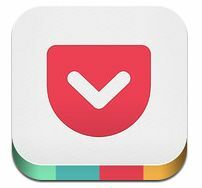 Pocket allows you to easily save articles, videos, and more for later. Everything goes to one place, so you can view it anytime, on any device, even without internet. Perfect for when you want to read an article or watch a video but don't have time at the moment. This is the perfect app for creating a budget and keeping track of where you spend your money. Set up financial goals such as saving up for spring break, paying off your school loans, or buying a car and get advice on how you should budget and distribute your paychecks in your checking and savings accounts. She Reads Truth is an online community of women who read the Bible and encourage one another. Devotional reading plans can be read on their website for free, emailed to you, or read through the iPhone app (for a small fee depending on how recent the plan is). The app also includes beautiful lock screens with scripture on them! I have to take a language class for my Bachelor of Arts degree, so I'm getting ahead of the game by learning Spanish for free on Duolingo. 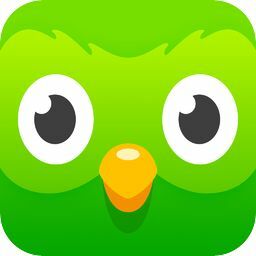 This app can help you learn Spanish, French, German, Portuguese, or Italian using easy exercises to help you spell and pronounce the new words! You can set how long you want to learn each day (5 minutes, 10 minutes, etc.) making it easy to do in between other tasks. I have this fear of my laptop crashing and losing all my photos and documents. That's why I save important things in Dropbox. Another plus is that I can access it on my phone! It makes accessing photos from anywhere super easy. I've tried SO many to-do list apps, and this one is by far my favorite! Simple and straightforward, the app allows you to set tasks for today, tomorrow, upcoming, and someday. Once a task is complete, just click it to make it disappear. I like using the website version since I usually have it open in my web browser. Don't let your Mac fall asleep while you're working on paper ever again! 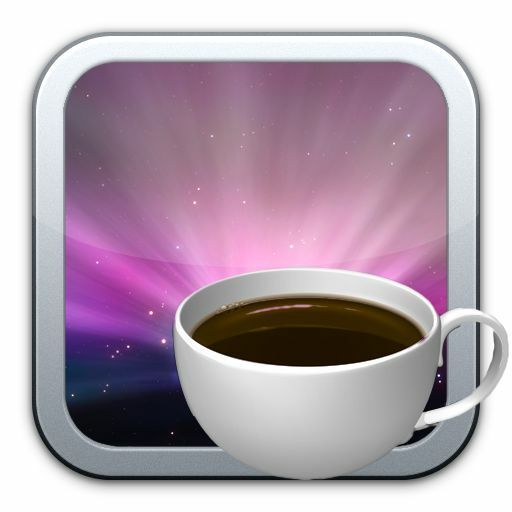 Install Caffeine on your computer and a little coffee cup will appear in the toolbar at the top. Just click on the cup to keep your Mac awake for a set amount of time (I have mine set for 30 minutes). Once the time is up, your computer will go into normal power saving mode. This last resource isn't an app, but rather an easy way to stay current with the news. I don't have time to read or watch the news every day, and sometimes I feel like I'm disconnected with what is going on in the world. theSkimm breaks down headlines and delivers the news to you in a simple, easy-to-read email that is sent to you every morning. Read it while brushing your teeth or eating your breakfast, it only takes a few minutes. Don't miss 10+ MORE must have apps for college students! Also be sure to read "What You REALLY Need for College"
P.S. Make sure you have these 8 College Girl Must Haves!! Yesterday I posted about volunteering, community service, and something my college does every year that's called Project Impact. I mentioned that I was a site leader and that the organization my group was helping was the Down's Syndrome Association for Families. This organization provides support for individuals with Down's Syndrome, their family, and friends, and also gives them a better vision for the future. One of the events they do is an annual Capital City Walk to fundraise and promote awareness. Buttons are made using pictures of the children with Down's Syndrome to give out to participants. That's what a few of my friends and I were doing for Project Impact; we were helping make over 300 buttons for the walk. The day started out with breakfast and handing out t-shirts (and sunglasses, even though it was rainy) under the clocktower on campus. Then they had everyone come together to take a group picture and find enough volunteers for each site. My team stayed on campus inside one of the main buildings. Using a few button presses, we set up an assembly line and got to work making all the buttons! Each child had a team name for the walk. Aren't they adorable?! Volunteering was so much fun! I'm so glad I had the chance to help the community. A few friends and I are actually thinking of joining in on the walk or simply volunteering to help. I can't wait to participate in Project Impact again next year! And like always, here are some fun links for your weekend! 30 Things you should do at least once a year. I really want to try #18! I had to do a double take at this laptop that looks like a Macbook, but can double as a tablet too! Get the secret menu to your favorite places to eat with this menu hack website. Great tips for creating quality blog photos. A ton of information on creating a blogging income from Oak + Oats. This DIY cutting board would make such a great gift! P.S. 36 ways to show love to others! Guess what I'm doing today? Not going to class! Don't worry though, I'm not skipping :) I'm doing some community service, and not because I did something bad. Every second Thursday in September, Union College cancels classes for the day to give students an opportunity to make a difference in the community. It's called Project Impact, and we volunteer to help local service organizations by tackling tasks such as painting, organizing, building, filing, gardening, deep cleaning, serving meals, and other projects normal staff don't have time to accomplish. Last year was my first year of participating and I'm so excited to do so again today! Because Project Impact is completely student led and organized, different students sign up to be site leaders. I was a site leader last year for Antelope Creek, and we walked along the park and creek picking up trash. It may sound a little boring, but it was lots of fun to walk and talk with friends and find random things on the ground! This year I'm a site leader for the Down's Syndrome Association for Families. I don't know all the details of what we're working on but I'm pretty sure it includes making bracelets for the children. I'll post all about what goes on today, tomorrow (with pictures!). Project Impact started in 1981 as Project Brush - an initiative to pain homes for elderly and disabled residents in Lincoln. Since then, it has grown to focus on helping organizations that serve the community. This year is the 33rd Project Impact! The college cancels classes and about 80% of the campus population, which is usually more than 800 students and faculty, participate each year. I have some professors that are in their second decade of participating! Project Impact seeks to plant the seed of service in each student and teach them to become an active part of the community. It is a launching point for student ministries that last all year long. Over 33 years, an estimated 20,000 volunteers have contributed more than 120,000 volunteer hours to more than 75 local agencies. Project Impact is the longest running college or university community service day in the nation. That's me in the middle and my roommate and Caleb next to me. I really believe that volunteering your time and energy back into your own community is really rewarding. It brings people together and strengthens the community around you. You make a difference, even if all you do is file papers. Because someone would have had to file those papers instead of doing what their job really requires of them. You just saved them time and helped improve the efficiency and organization of the business. So there is no such thing as a volunteer job that is too small. Go out and serve! If you really want to know more about what we do for Project Impact (and see all the fun we have) here's a video of last's year community service day. And be sure to check back tomorrow to see some pictures I've taken of today! P.S. Follow me or check out #unionunited on Instagram to see pictures of this year's Project Impact! It's back to school time! I can't believe that I'm heading back to Lincoln, NE for school tomorrow. Where did summer go? Back to school means back to packing all my stuff up and moving it into a dorm room. 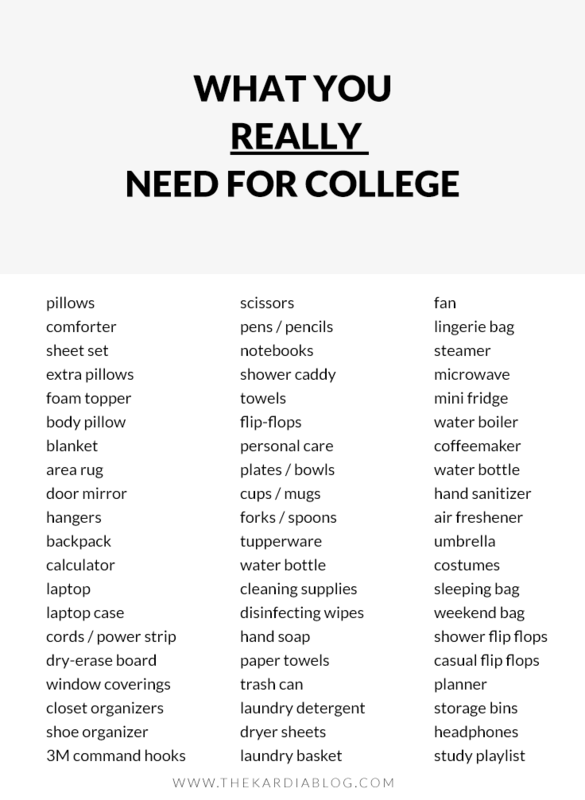 While those "College Necessities" lists are helpful for letting you know that you need bed sheets (extra long!) and a shower caddy, I've compiled a list of 8 truly must have items for any college aged girl. Trust me, these will help you more than that shoe rack in your tiny dorm room closet will. Balancing school, work, friends, hobbies, and extracurricular activities requires lots of time management. That's why I love my Lilly Pulitzer agenda! It's spacious and the colors are an instant mood booster. Never miss another meeting or forget another assignment again! Don't just dump your writing utensils in your backpack, put them in a pencil pouch! It's much easier to find something to write with when they're all in one place. This is such a handy item to have around. This little beauty will take wrinkles out of clothes in less than 5 minutes and it's easier to use than an iron. Just fill with tap water, plug it in, and go! No locker means that you'll be carrying your books, laptop, and notebooks with you everywhere. Pick a backpack that can easily go with all your outfits and won't fall apart from the weight of all the books! If you go to a college where it's cold for the majority of the school year, boots are your friends. Plus, they are a great at pulling your outfit together! Every college girl should own a pair of tall brown boots, tall black boots, a pair of combat boots (black or brown), and rain boots. You'll wear these all year, so make sure they're good quality. Music makes the long hours of studying go by so much faster. Choose songs that aren't too distracting, otherwise you'll be singing along for the next 4 hours! I created a Hit the Books playlist on Spotify that includes music from John Mayer, Of Monsters and Men, and Imagine Dragons. Currently it's 4 hours and 35 minutes long, and I keep on adding to it! Enjoy! These are a girl's wardrobe must have. Wear them with a flowy top and sandals or a chunky sweater and boots on days when you woke up a little too late for that early morning class. I get mine for less than $5 from Forever 21. Stock up! When the seasons change and the flu starts going around, stay sanitized and keep yourself healthy! Get a pack of mini hand sanitizers and keep one in your backpack, purse, and dorm room. There you have it! Essentials for the everygirl. I hope this list was useful for you, whether you're in college or not. P.S. Shop my favorite college necessities below! What other items do you think are college necessities? Which do you prefer: steamer or an iron? P.S. I post lots of fashion inspiration on Pinterest!